We have huge savings on a few products that help make your bathrooms a little bit of a safer place. When it comes to keeping our elderly or disabled friends and family safe the bathroom is an area we cannot neglect. With slippery floors and slick tubs, having an extra lifeline is something your loved ones will be grateful for in case of an emergency. We have 3 great products that are sale today that can make ANY bathroom just a little bit safer. 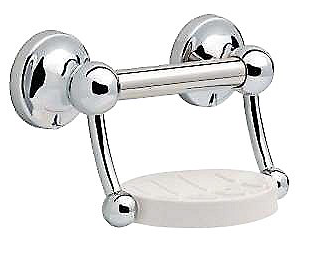 This soap dish isn't only good looking, but it disguises the fact that that's an assist bar, too, providing leverage and stability when needed. 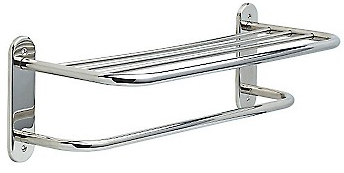 This can be mounted securely at any level for your safety so when it comes to needing something else to grip onto, this can do that job while being a nice looking towel shelf, too! Install this critical safety grab bar exactly where it is needed most. With prices ranging from only $9.99-$19.99, these products are not only affordable, but essential to a safer restroom. Check out the rest of our bathroom mobility equipment on HomeSafetyStore.com.